Often times, when powerful and public figures – from government officials and politicians, community leaders, high-powered corporate CEOs, NFL coaches, and countless local TV news anchors - leave their longtime positions, they say their decision was influenced by wanting “to spend more time” with their families and loved ones. Such a stated reason is often a tried and true euphemism for either being forced to resign or trading an official post for a better paying lobbying gig. Those employing the excuse are usually being disingenuous. 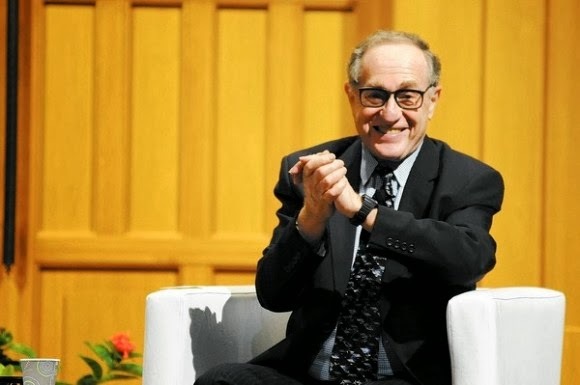 Well, after a half century at Harvard Law School, Alan Dershowitz has finally stepped down from his post (where he presumably teaches young, malleable law students how to defend celebrity murderers, justify war crimes, and advocate for torture and extrajudicial killings). So why is he doing it? He certainly wasn’t pushed out. And he already has the money. According to an interview with the Jerusalem Post, Dershowitz genuinely wants to spend more time with that which he loves most of all: the State of Israel. Never before has a clearer, more compelling rationale for supporting the human rights and international law based BDS movement been articulated. 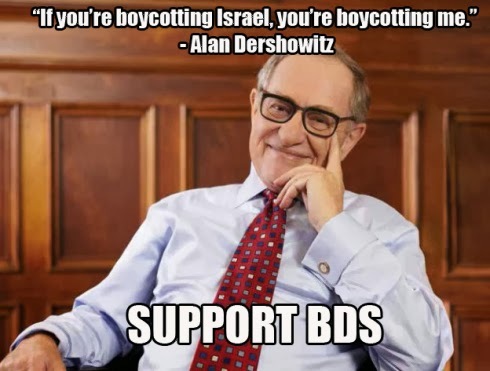 While Dershowitz may no longer spend his days warping the minds of college kids, he will now be able to make propagandizing and promoting war on behalf of his favorite occupying apartheid state his full time job.